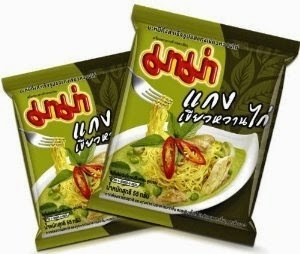 INSTANT GREEN CURRY MAMA NOODLES @ THE AMATAYAKUL RESIDENCE - EAT WITH HOP! DO YOU LOVE THAI GREEN CURRY? ARE YOU TOO LAZY TO DRIVE OUT TO A RESTAURANT TO ORDER IT? 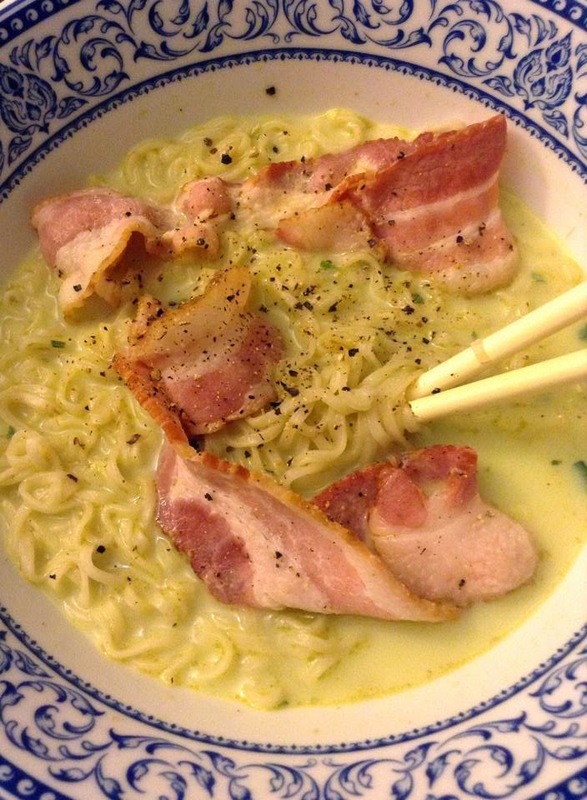 ARE YOU ALSO TOO LAZY TO COOK IT YOURSELF? WELL, THERE ARE THESE TIME-SAVING INSTANT GREEN CURRY NOODLES (MAMA BRAND) AND WHO KNEW INSTANT COULD STILL BE SO DELICIOUS! 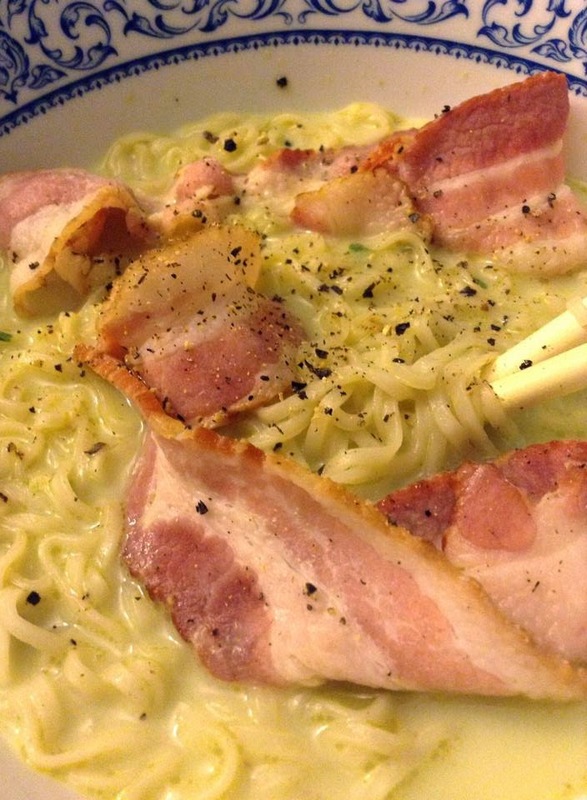 I BOILED BACON AND ATE IT WITH THE INSTANT GREEN CURRY NOODLES. SO YUMMMMMMMMM!